Enjoy refined Norteño Mexican cuisine, wood-grilled proteins, and speciality cocktails in our cozy, pint-sized espacio. Meet the guys in charge. 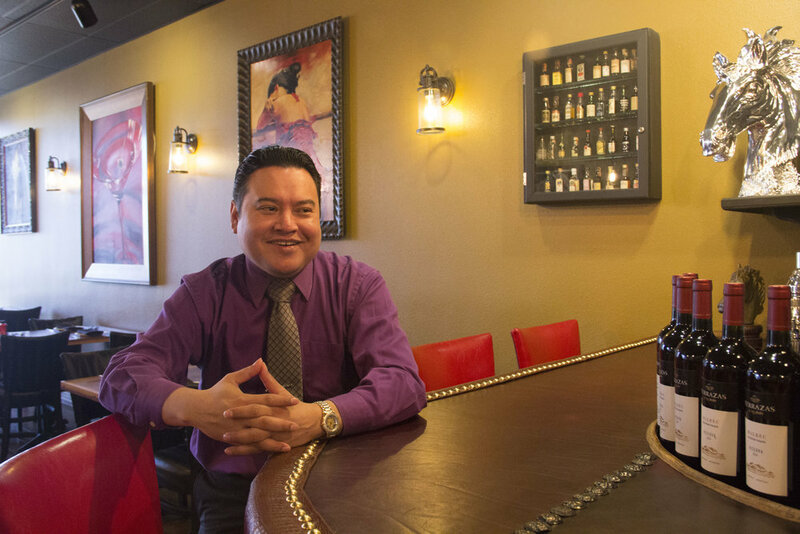 For nearly a decade, Carlos has owned La Casa de Caballo, the most internationally popular steakhouse in Saltillo, Mexico. Encouraged by traveling Houstonians to bring the restaurant to the steak-loving city, he opened another location in Montrose in 2013. Two years later, Carlos relocated and renamed to Saltillo Mexican Kitchen. The new Mexican steakhouse is a sumptuous merger of top-tier mesquite-grilled beef and classic Northern Mexican dishes. Carlos' signature dish is the Tapa de Lomo - the entire cap portion of the whole ribeye (weighing in at over 4 pounds) sourced from the prestigious Allen Brothers in Chicago. Abedrop continues to run both restaurants, and you're sure to catch him in the kitchen and/or mingling with guests. Francisco has been in the hospitality industry for over 25 years and has worked at some of Houston's most prestigious restaurants. The Mexican native from historical Cuernavaca, has strong ties to the Mexican culinary scene and began working with Carlos in 2013. He was promoted to manager shortly after starting and was given the GM role with Saltillo's relocation. Francisco takes great pride in providing exceptional service to each and every guest and always ensures a wonderful experience. Make sure to have him come by your table for the best wine pairing recommendations. You can find him helping behind the bar and in the kitchen on a busy night.